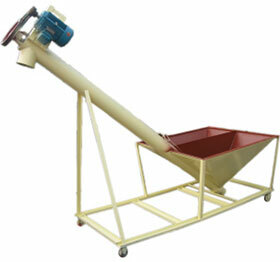 Pelletizing is a technological process in which the material is converted from powder form in granular form, pellet. 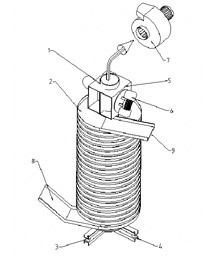 Pellets have a diameter and length depending on the application. 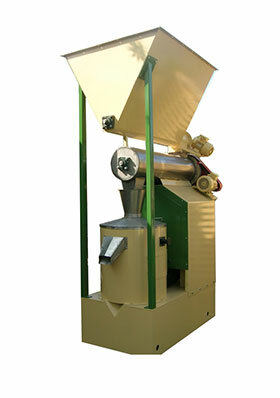 Pellet press is used in food factories, farms and modern agricultural enterprises. Pellets press is a stable structure consisting of: a baseframe with stand for motor, the basket above the base, dispenser with variable frequency control, air conditioner with connections for process steam and the working part with the matrix. The matrix is made with a diameter holes of diameter 2 to 10 mm. 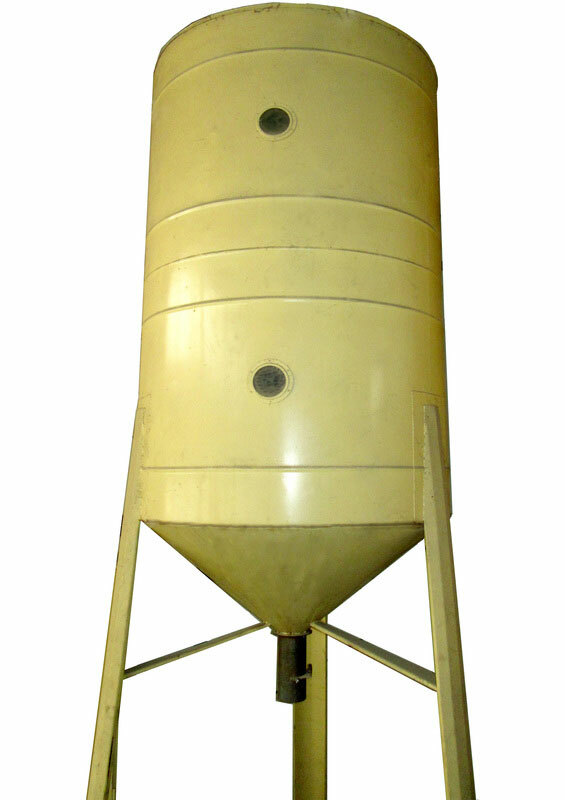 Spiral cooler for granular materials is found in the application in processes where is necessary that material is cooled after processing, as is the case in the process of extrusion and pelleting. As part of the production program, Metal Matik manufactures spiral coolers of different SIZES, where numeric value represents the height/diameter of the machine. The main feature of the spiral cooler is that the cooling of the material takes place simultaneously with its upward transport. Material moves through spiral under the influence of vibration of the vibration motor. Crusher with vibrating findsits application in technological pelletizing processes when the pellets with smaller dimensions are required. 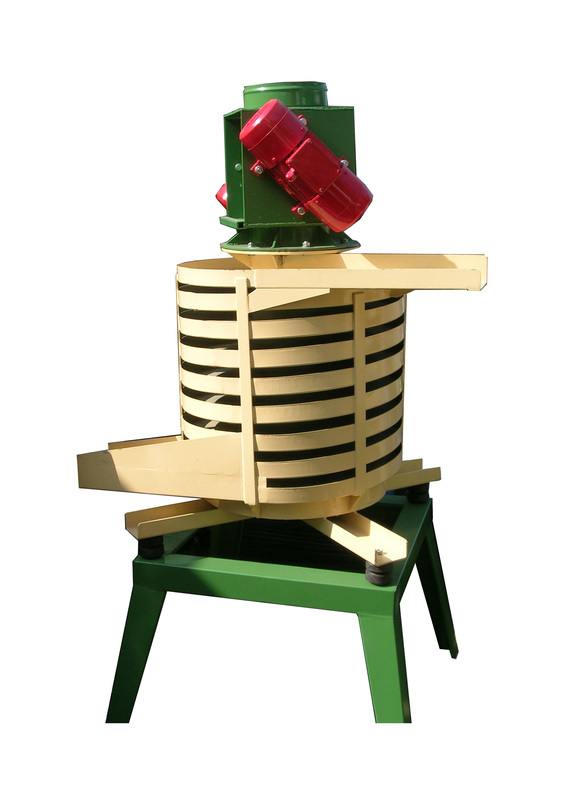 The main feature of the crusher with sieve is that the crushing of the pellets is performd with a pair of grooved rollers. The degree of fragmentation is controlled by changing the gap between the rollers. Crushed pellets are then sieved on vibrating sieve. Metal silos are designed for storage of the powder and granular material.